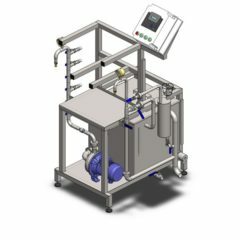 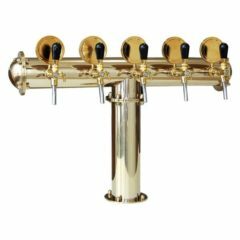 Its function is based on circulation of an alkaline or acid solution through a sanitary shower spraying it onto vessel walls and into its space. 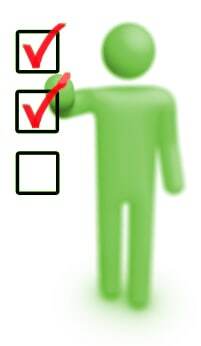 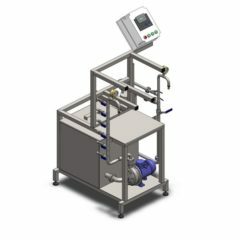 It is equipped also with a flowheater with digital regulation of temperatures ranging from 0°C to 80°C. 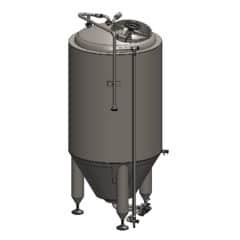 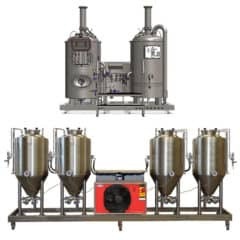 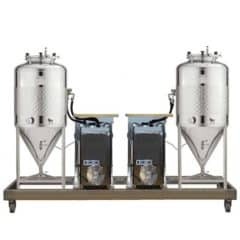 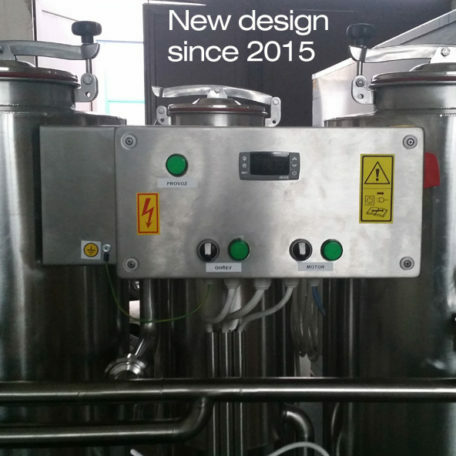 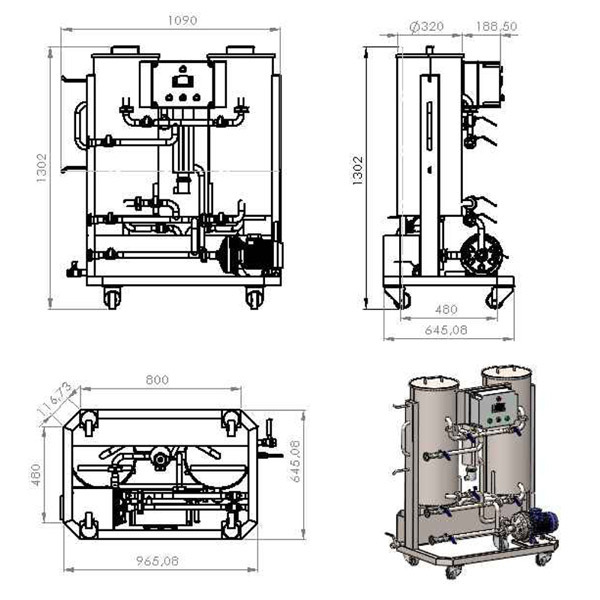 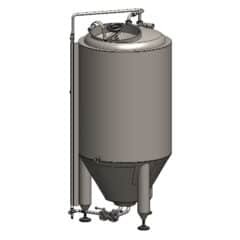 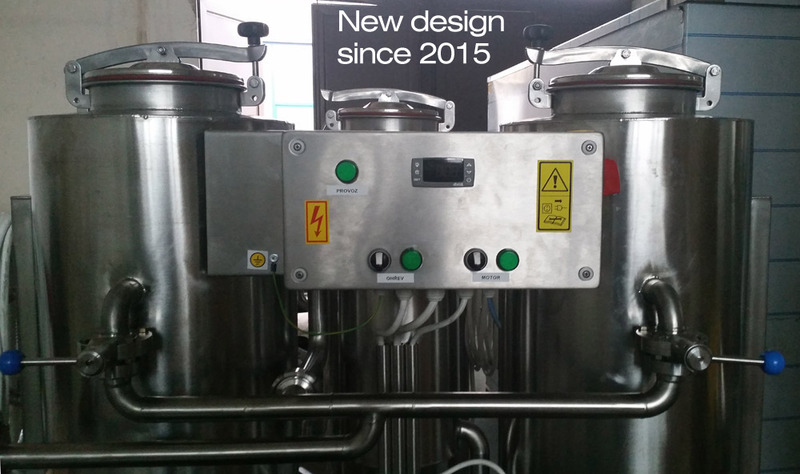 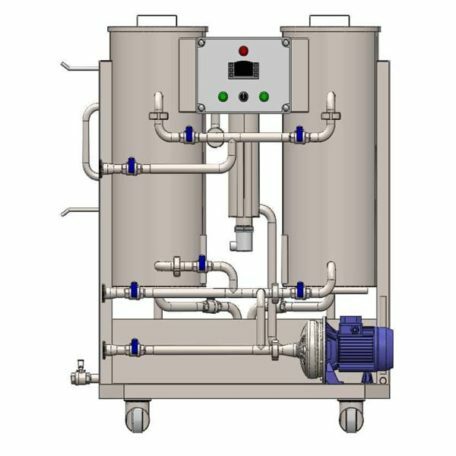 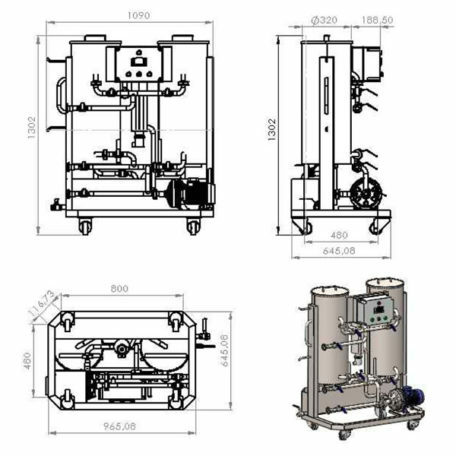 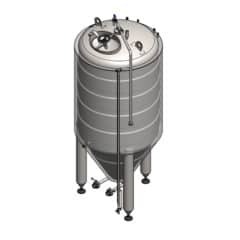 CIP-102 consists of two main tanks for alkaline and acid solution and one vessel used for a neutralization of the solutions. 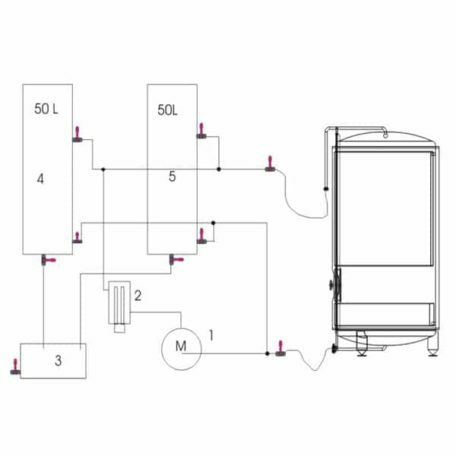 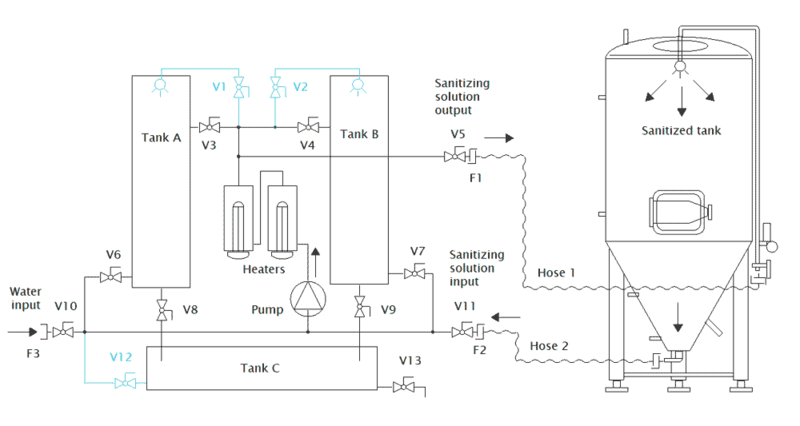 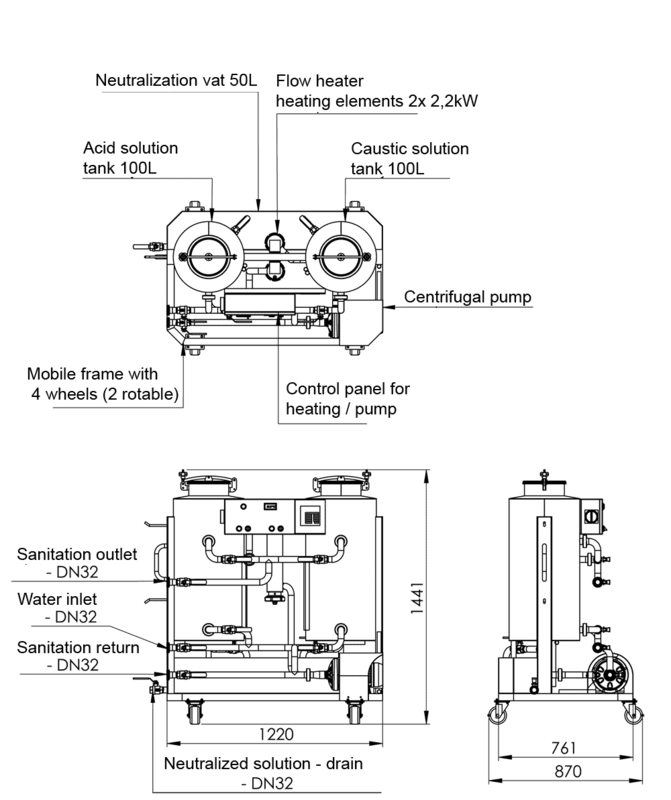 The circulation of the sanitary solutions is provided by a pump and a system of connecting hoses. 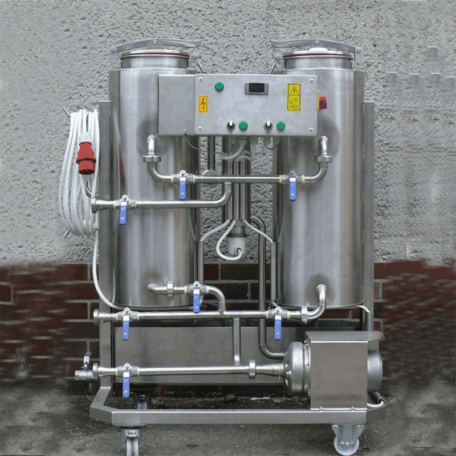 Version CIP-102-304 : Pump inner parts and heating chambers are made from stainless steel AISI 316. 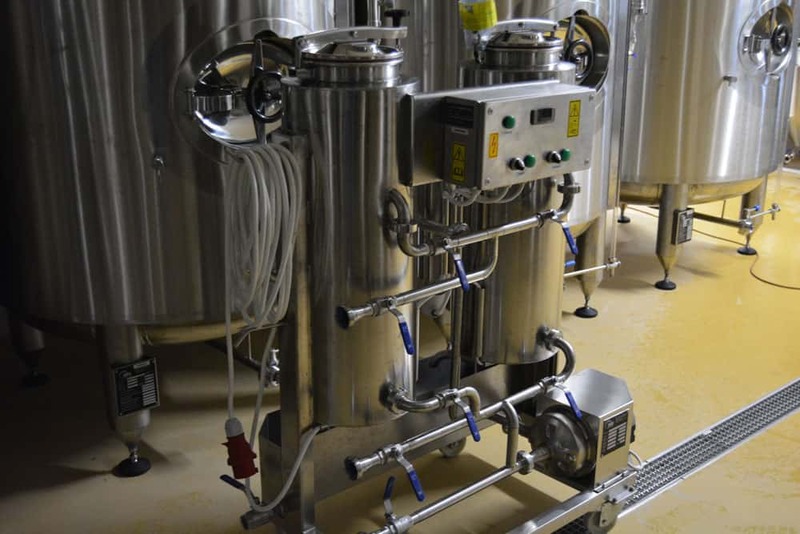 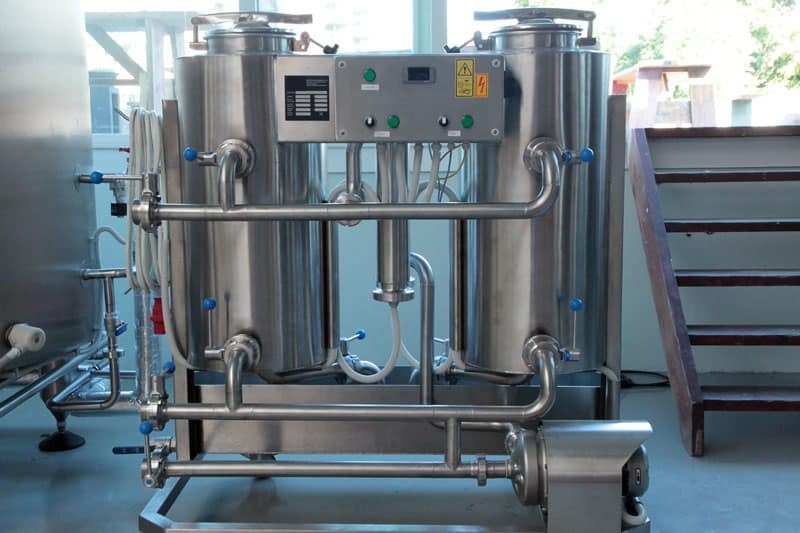 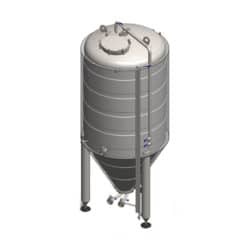 Pipes, fittings, frame and tanks are made from stainless steel AISI 304. Version CIP-102-316 : All parts are made from stainless steel AISI 316.